Good morning from Tucson Arena, where with a win tonight, the Roadrunners can clinch home-ice for the first round of the Calder Cup Playoffs. April hockey! 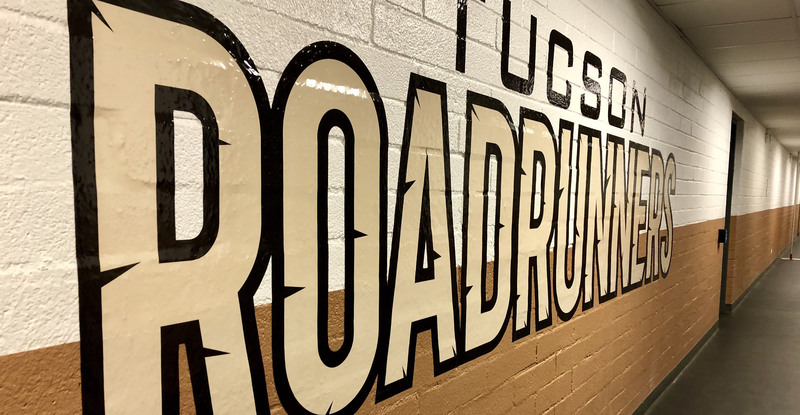 Get used to it – the Roadrunners are scheduled to play four of their five remaining regular season games in downtown Tucson, with more on the horizon. Through 30 games played at their home facility this year, the club is 15-12-3-0. 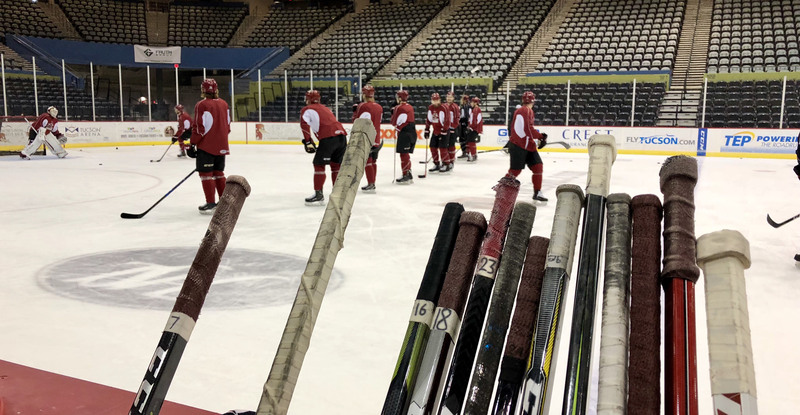 The team held an optional morning skate ahead of what is to be their first home game in over two weeks as they prepare to host the Grand Rapids Griffins, who are playing a game within Arizona state boundaries for the first time in over 21 years. Grand Rapids, one of six clubs admitted into the American Hockey League after the IHL ceased operations in 2001, last played in the Copper State on March 5, 1997, topping the Phoenix Roadrunners by a 3-2 score at the Arizona Veterans Memorial Coliseum. The Griffins have earned points in seven-straight games, posting a 6-0-0-1 record during that run. They have not lost in regulation since March 17. More can be secured: the Roadrunners’ magic number to clinch home-ice for the first round is at 2; the magic number to clinch the Pacific Division is at 6. Another milestone in what has been a career-year for Michael Bunting! If he’s to play tonight, it’ll be his 200th professional game. 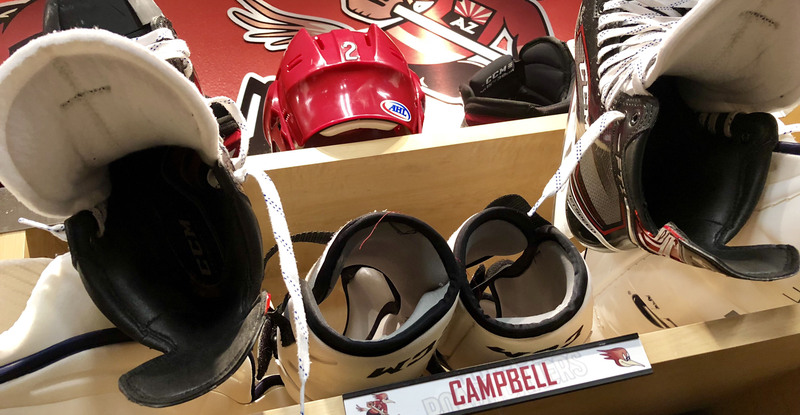 He is the Roadrunners’ all-time franchise leader in games played (129), points scored (69), and goals scored (35). They’re a really good team, for sure. They won [the Calder Cup] last year, so I think tonight’s going to be a really good test; it’s close to the playoffs, we’re playing against the champions from last year, and I think it’s going to be a playoff-type feel game tonight, which will be really exciting. It would be huge to get some wins here. If you go into the playoffs with a winning record at home, you get confident, and you gain confidence too when you have home ice advantage going into the playoffs, and that’s what we’re aiming for in getting these next few wins – to be able to have that home ice advantage throughout the playoffs. I think I’ve built some good chemistry with my linemates. I think it’s just confidence this year; last year maybe I didn’t have the most confidence, but I think confidence is huge in this game, and I think anyone would agree with that. Once you’re riding with confidence, things just kind of roll, and you start getting those puck bounces that you may not have before – so that’s definitely what I’m riding on. I don’t think anything has changed. We still want to win these last five games and go into every game like we want to win; that’s the goal and we’re going to try to keep it going.